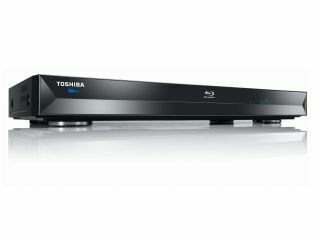 Toshiba's first foray in Blu-ray players is the BDX2000, and it will be arriving by the end of October. The BDX2000, the first Blu-ray player from the company that championed the loser in the format wars Hd-DVD, provides 1080p 24fps playback. The player supports BD Live profile 2.0 and includes DivX and AVCHD playback as well. As you may expect Toshiba's REGZA link is present and accounted for along with BonusView for picture in picture and an SD slot so you can show off your photos.